Why Grades Aren't Enough #Infographic ~ Visualistan '+g+"
It turns out that 4.0 GPA you earned in college means bupkis. Sure, you needed to do it to keep your scholarships and make your parents proud, but in the real world grades just don’t matter. What matters much more than your college transcript, where you went to school, or your major is your personality. Employers are looking for certain things in a qualified job candidate, and while your college degree might get you an interview, it’s your personality that will determine whether you get the job. Most interviews focus on things like social skills and communication- things that don’t appear on your college transcript. If you feel like these are areas where you are lacking, it’s important to develop them on your own time. After all, college is just four years and you can’t expect to learn everything you’ll need for the rest of your life in that time span. 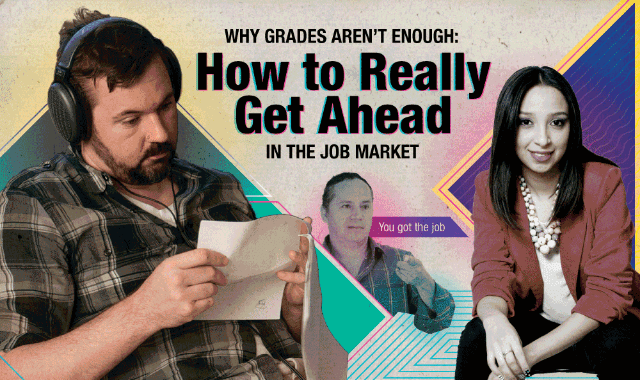 Learn more about getting ahead in the job market from this infographic!